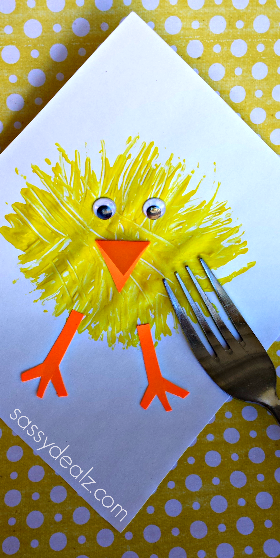 I wanted to get creative today so while I was making dinner, I saw a fork and thought it could make a chick! 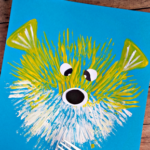 ….and it WORKED! 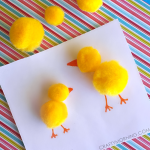 It makes an adorable fluffy chick that kids can make all by their selves. 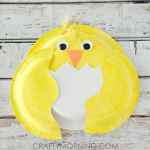 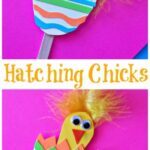 It’s the perfect farm or Easter craft to do! 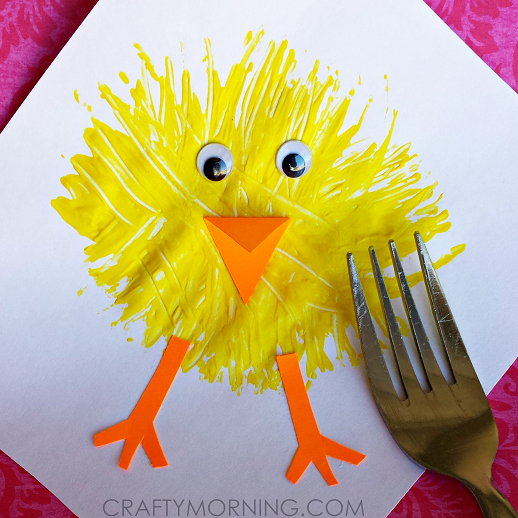 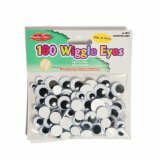 You will need yellow washable paint, scissors, a fork, 2 googly eyes, orange construction paper, and glue. 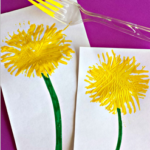 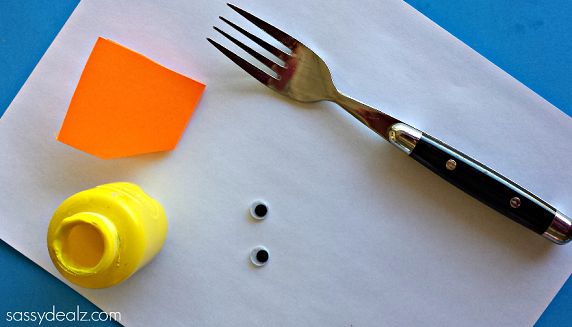 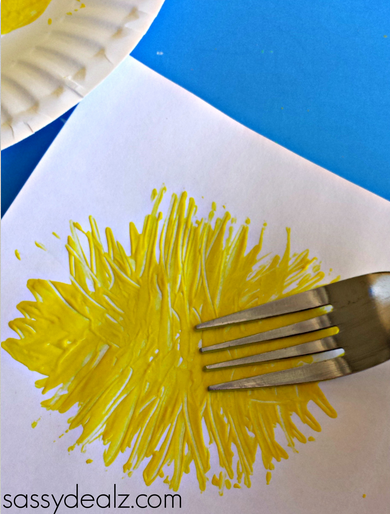 Start by having your child dip the back of a fork into yellow paint (it worked best to have it spread out on a paper plate). 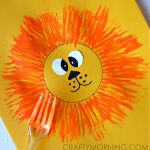 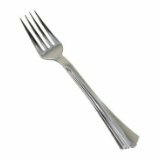 Then tell them to make a circle shape, pulling outwards with the fork. 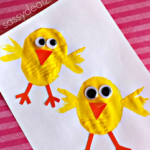 Grab some orange paper and cut out a beak as well as two legs! 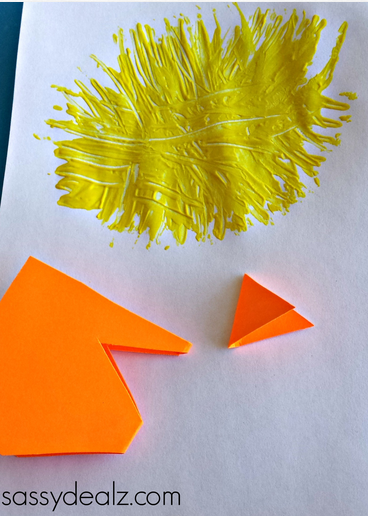 It’s easier to fold a piece of paper in half and then cut so both are the same size. 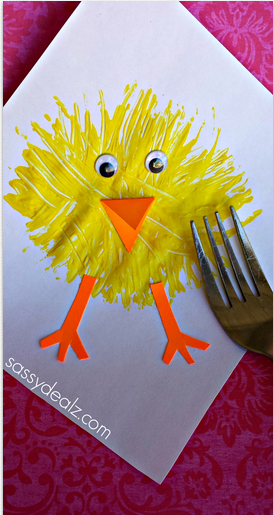 After the yellow paint is dry, glue on some eyes and the rest to make an adorable little chick! 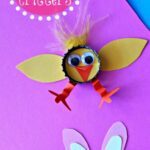 I think it’d be great to put on a homemade card!